The number of juvenile felony cases in 2018 nearly topped those in the past two years combined, according to the District Attorney's Office. 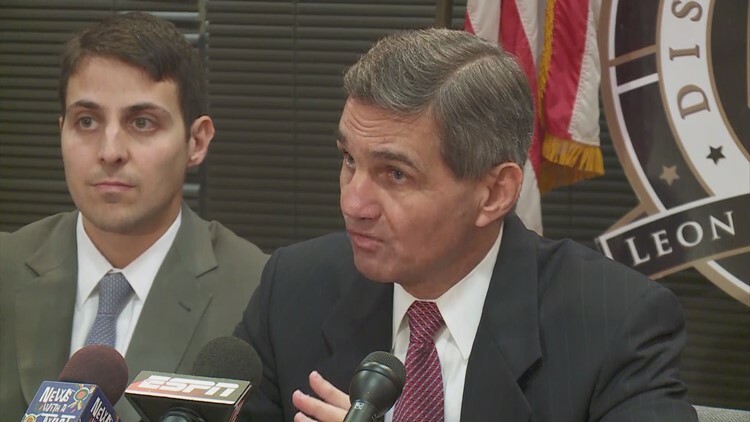 NEW ORLEANS — District Attorney Leon Cannizzaro singled out violent juveniles as the most serious crime issue for the city in 2019. According to Cannizzaro, New Orleans opened 735 juvenile felony cases in 2018. That almost topped the 776 cases from 2016 and 2017, combined. The announcement came in Cannizzaro's keynote address Tuesday at the Metropolitan Crime Commission's annual awards luncheon, officials said. "Our quality of life in New Orleans is being deeply affected by the scourge of juvenile crime," Cannizzaro said. The city's head attorney pointed at a steep decline in the NOPD's early intervention programs for youth offenders as a precursor to the rise in juvenile felony offenses. "The revolving door we complain about at the adult jail has nothing on the cartoonish speed of the one spinning at Juvenile Court," Cannizzaro said. The DA also said juvenile judges have faced increasing pressure from city leaders in recent years to reduce the number of juveniles detained in the Youth Study Center. The aim to reduce that population ties into the larger movement to lower the number of people in jail in New Orleans, where incarceration rates have lead the nation. RELATED: Bail out: Is bail reform 'catch and release' or the solution to overcrowded prisons? According to Cannizzaro, however, the inmate population two weeks ago was 1,222; a third of what it was in May 2010 (3,600). Of those 1,222 in jail, Cannizzaro said that 80 percent had been arrested before. "This is who we will be letting out next, if the push to reduce the jail population continues unabated," Cannizzaro said.